Clay County seniors may be eligible for a limited amount of in-home support, such as light housekeeping, personal care assistance, respite for the primary caregiver, and medication management. 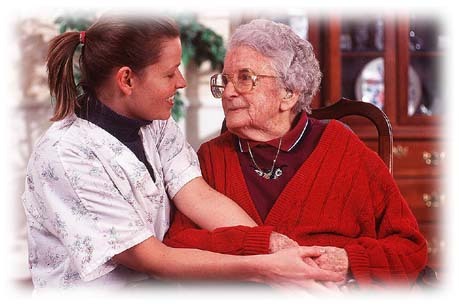 Co-pays for in-home care services are based on the seniors' net monthly income. If a senior is eligible for in-home services through Medicaid, Veterans' Aid & Attendance, or other funding, they are not eligible for in-home services through Clay County Senior Services. You may also refer to our Questions page for more information. We are offering a new program in partnership with Northland Shepherd's Center: Caregiver Directed Respite. This program offers choice and responsibility to the primary caregiver and care recipient in the selection of their respite care workers. Please see the flyer for details: Caregiver Directed Respite Program. Please call Clay County Senior Services office at (816) 455-4800 for information about income guidelines and availability of these services.